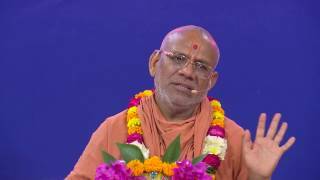 Swaminarayan Sampraday’s great saint P. P. Sadguru Shree Aadharanand Swami had composed this scripture Shree Haricharitramrut Sagar. Pu. 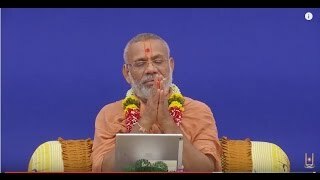 Swami has enriched the highest authority of Swaminarayan Bhagwan and His highest greatness and divinity as well as the importance of Indian culture via this epic scripture comprising of 1 lakh ‘Shlokas.’ The author, inspired by Shree Hari in his soul as well as his Guru, the great saint Sadguru Shree Muktanand Swami, started writing this great scripture in Hindi language sitting in Vadtaldham on the 8th day of Jeth-Sud in 1814 per the Gujarati calendar. One after the other, the author kept on writing ‘Doha’-‘Chopai’ organizing those into ‘Tarang’ and forming ‘Pur’ from multiple ‘Tarangs.’ 28 ‘Purs’ were wrapped up. 29th ‘Pur’ was started with 4 ‘Tarangs’ finished. At that point, Pu. Swami on the 7th day of Magshar Sud in 1928 (date: Monday 18/12/1871) became an Akshardham resident. Pu. Swami wrote the scripture for a total of 13 years, 5 months and 14 days. Unfinished parts of the scripture were finished by Sadguru Shree Gyanjivandasji Swami at Kundaldham. Along with that filler, the scripture has a total of 29 ‘Purs.’ The scripture comprises of 2,411 ‘Tarangs’ and 1,02,551 ‘Chhand-Chopai.’ The original scripture’s height is 4 feet and the total weight is 33.150 kilograms. 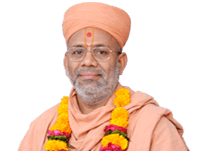 Each of the ‘Purs’ is imbued with talks on ethics, knowledge, renouncement from the worldly pleasures, devotion towards the Almighty Swaminarayan Bhagwan, divinity, love, positive attitude, as well as Satsang’s highest authority. Shree Haricharitramrut Sagar emphasizes Shree Hari’s unmatchable and insurmountable capability. Mahabharat is considered to be the fifth ‘Ved.’ Shree Haricharitramrut Sagar is probably the only scripture comparable to Mahabharat. Just like Swaminarayan Bhagwan is the highest authority, His Saints were the highest authority. 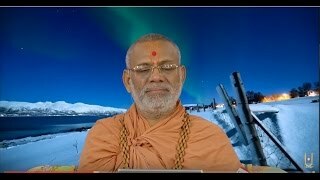 Similarly, Shree Haricharitramrut Sagar is a scripture of the highest order. The author himself, while depicting his own experience in Pur – 5 and Tarang – 73, mentioned that the tidal waves of Shree Hari’s events during his lifespan would be hard to recollect without His blessings. 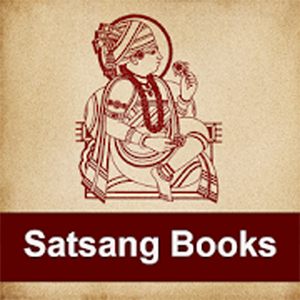 He states that it has been 30 years since this biographical flow of Shree Hari’s life has flowed. He further adds that, gracious Shree Hari is replaying the events in his heart as-is, to enable him envision and write about the events. The author explicitly states that Swaminarayan Bhagwan Himself is writing Shree Haricharitramrut Sagar, and he’s just being made an excuse. This scripture is the best medicine for curing worldly diseases disguised as society. To fight the evils such as lust and anger, this scripture is the most apt medicine. The reader, listener or the thinker of this scripture would be able to destroy the heat of these evils and would also be able to develop deep love towards the image of Shree Hari. Life would become pious on top of that. If anyone reads, listens and imbibes the learning of the scripture in his life with belief, then Swaminarayan Bhagwan would help him accomplish all his wishes of this world and purify his inner self. Finally, note that this particular version of the scripture has been translated word for word by Gadhpurdham’s great saint, P. P. Shastri Shree Gyanprakasdasji Swami. Further, this version of the scripture, under the inspiration of Pu. 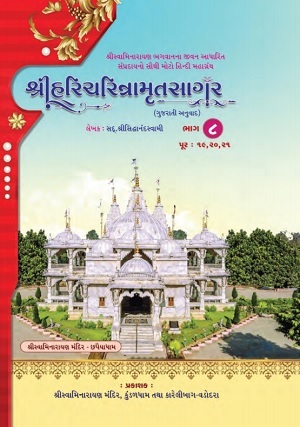 Sadguru Shree Gyanjivandasji Swami, has been published by Shree Swaminarayan Mandir – Kundaldham, and Karelibaug, Vadodara.